Just a little bit of an update on my table. I can't use the VTALifer with my new Universal arm on this table, but I had to wait for a replacement armboard to remove it. That came today, and Musical Surroundings (great customer support, BTW) sent me an armboard that matches the polished bezel of the plinth. I think it looks really great. SandAndGlass, Daedalus, Morbius and 19 others like this. Roycer and alan967tiger like this. Can you tell me what you like about the Benz Micro LP-S. I plan to upgrade the cartridge for my Clearaudio Ovation/Universal this coming year. I'm thinking about the Clearaudio Stradivari (I have a Concerto now) or the Benz Micro Gullwing SLR. I know that the Gullwing is a bit of a step down from the LP-S but some of it is based on that better cartridge. Hi. The Benz LP-S throws a huge soundstage that not only extends past but also in front of the speakers and gives me loads of colour and timbre while still revealing a lot of details. It has a very lush and full bodied character and a very deep and profound bass. I really like it very much. The Gullwing SLR isn't really a step down. It is the very same generator in the very same brass frame. The difference mainly lies in the wood body which gives the LP-S a fuller and more lush tone. The SLR really is the "naked" brother of the LP-S and gives a somewhat more muscular and wiry presentation. What is "better" really comes down to personal preference and system sinergy. alan967tiger, Josquin des Prez and Johnny Vinyl like this. Thanks for the info. I'll have to see if I can get a demo. I get a retip credit for my Concerto towards the Stradivari, but not the Benz, so it would actually cost me more to get it. Clearaudio Concept Dark Wood + Clearaudio Satisfy Kardan + Dynavector 10x5 Neo. P.S. How can I upload a picture? You must upload it to an image hosting service like Imgur (for instance) and paste the direct link to the image into the "Image" field at the top of the reply box. Art K, cut-out, Bob_in_OKC and 24 others like this. Art K, David M., Ken Clark and 23 others like this. Not a major change in the look but I've had a couple of cartridge changes-one on each arm-since my last post in this thread a few years ago and just in the past week an interesting change to an aftermarket suspension for my Gyrodec. All three changes have been really positive. Cartridge at rear is AT 33 Mono for mono and front cartridge is a rebuilt Accuphase AC 2. I'm done with cartridges for quite a while I think. These can be retipped if necessary. I might try and hotrod the AT 33 Mono in the next year or two. The aftermarket suspension is a real ear opener. It is very good. Twinsfan007, Bananas&blow, Art K and 20 others like this. Glad you're enjoying the results! Just wanted to mention the head shell/cartridge combo - visually stunning! Outstanding! first, please take your time and report back on the Paua. I am leaning about considering it as my next upgrade. second, are those screws needed for arm/cartridge mass matching or is just aesthetics? third, did you get proper alignment just at the very end of the mounting range or you are looking for a longer headshell? fourth, I own 2 124s, and your aluminum subplatter is in mint shape indeed. I had a bit of an adventure getting my turntable set up. I renovated my largest Bedroom into a home theater with my "architectural office" tucked in along the wall in one corner of the room. Vinyl was NEVER a consideration when I finished my renovation work in October 2017. In January I decided to get my 4 boxes of carefully stored LPs out and make a return to vinyl. A quick test with my Thorens TD 160 turntable from my college days, told me I could not locate a turntable near my other A/V equipment. One reason was because it would not fit on the equipment stand I had. The main reason was problems with floor bounce and the TT skipping if located on that wall adjacent to my Hallway. I never notice any floor bounce in this room, but anytime someone walked down the Hallway the turntable would skip. My "architectural office" tucked into the corner. The printer cart on the right was destined to become the home to my turntable. I decided to rearrange the InterMetro shelves I was using as a printer cart to house my turntable. The printer moved down one shelf to accommodate the turntable. This remote location would require a separate preamp to host a turntable. In late January 2018 I ordered ClearAudio Concept Active with a built in phono stage. This was a model that had been introduced in 2017. Only problem was they never shipped it, and I hear they still haven't. In October 2018 I decided to stop waiting and switched to an EAT C-Sharp with their new Jo No. 5 cartridge. I got a standalone version of the ClearAudio Preamp which would have been built into the Active. 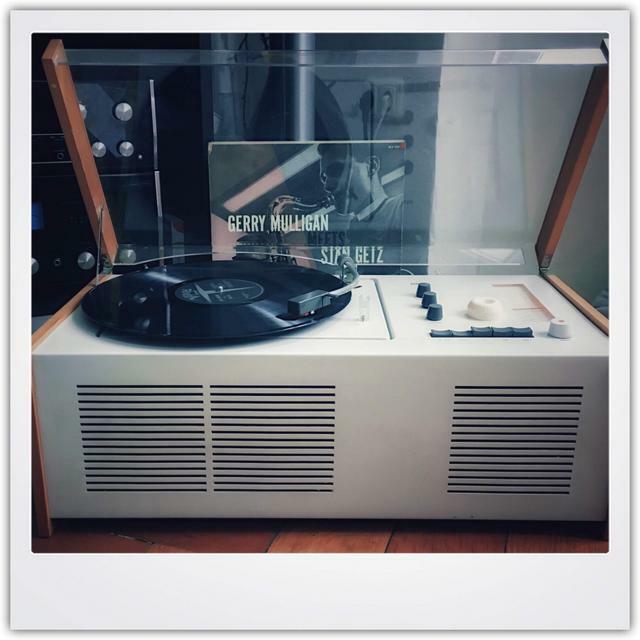 In the 9 months I was waiting I had catalogued, sleeved and stored my old vinyl friends. I bought an OkkiNokki RCM and began cleaning my albums and the used albums I had started buying. I also turned the corner of the Home Theater Room near the printer cart into a "Vinyl Corner". You may be wondering why I got the white plinth when my gear is black? Easy: $500 off for the white. Not my first, second or even third choice of color. But the printer below it was white and the savings helped pay for the preamp. The C-Sharp is a thing of beauty to my eyes. The C-Sharp and the Jo No. 5 cartridge to me sound every bit as good as they look. 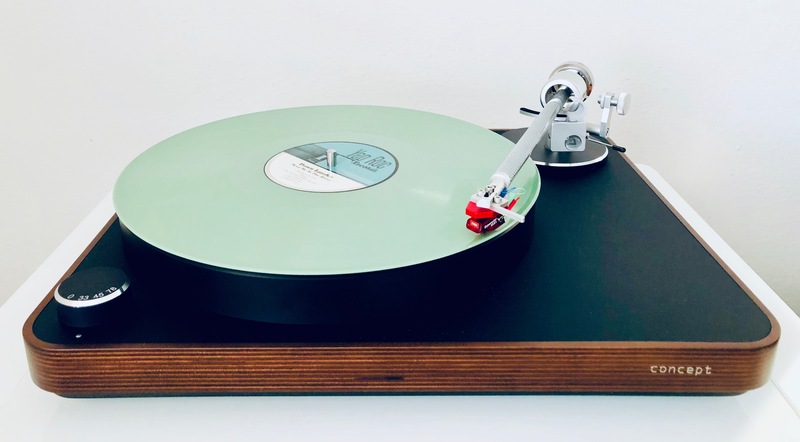 Who knew a turntable would be so disruptive? I unboxed it in late October. Frankly I didn't have super high expectations for how it would sound. I was just hoping some of my Hi Res digital files didn't totally embarrass it. The sound was so good that in November I decided to try a Parasound HINT 6 Integrated amp for 2 channel and sub-woofer play back and let my Yamaha Aventage AVR handle surround sound duties. The sound improvement was even better than I expected. So 2 weeks later I decided to try a Parasound JC3 Jr. Phono Preamp to replace the ClearAudio Phono Preamp. The sound noticeably improved once again and on good vinyl was quieter than I ever imagined vinyl could be. Suddenly I was annoyed by any kind of surface noise and 2 weeks later I bought an Audio Desk Vinyl Cleaner Pro ultrasonic record cleaner. In December I let my debit card stop smoking and cool down a bit. But in January I replaced the Yamaha entirely with an Anthem MRX 720 A/V receiver. Their ARC was much better than YPAO for my room and now both my 2 channel and multichannel sound have shown a noticeable improvement. Who knew the addition of a turntable would be so disruptive? In less than 3 months I have upgraded and replaced all of my audio related electronics and purchased an ultrasonic RCM. It is a little scary to think about, but the bottom line is I couldn't be more pleased. Donniej, Bananas&blow, Art K and 19 others like this. Wow! You sure do know how to make a commitment! Hell, my CC is hyper-ventilating from all the purchases you've made. LOL! The C-Sharp is an EAT table, right? A friend of mine bought the last EAT Flat (?) from MusicDirect a few years back at a 50% clearout price. He absolutely loves it! Can I offer a suggestion? I'm not a fan of the "rolling" stand and it looks a bit flimsy. I'd consider getting a more solid stand. Hope you don't mind me saying so. Thanks Johnny! All suggestions gratefully accepted. Yes the C-Sharp is an EAT model. I sort of backed into that commitment you speak of. I had no intent to buy anything more than a turntable at first last January. Even when I got serious about records in Jr. High School, I always bought far more turntable than the rest of my system rated or my wallet could afford. Nothing has changed: the ClearAudio model I ordered in January and the EAT model I ended up with were better TT 's than the rest of the system. My reward for this approach over time was all of my LPs sound as good today (better actually) than they did in the 60's when I started buying LPs. As for the rolling cart, it is hard to tell from the pictures but it is VERY sturdy even on locking castors. I am an architect and those InterMetro shelves are also the type used in Walk-In Coolers in restaurants to hold heavy bulk food items. They can hold lots of weight and are very sturdy. In fact they are often a PITA to take apart if the shelves are well seated on the shelf clips. I bought them for this room for the look but my turntable has not skipped once, even once when I accidentally brushed against the cart. My biggest fear was feedback from the nearby sub. A piece of black melamine clad particle board and AQ Q-Feet took care of that. SandAndGlass and Johnny Vinyl like this. VERY nice setup blakep! I'm curious what you had previous to the AC 2 and if you can offer any insight into its performance? Also, what was rebuilt on the AC 2...retip or new cantilever and stylus? I've always wanted to try an Accuphase cartridge as they seem to come up for sale for reasonable prices. Will do Jimi! It's settled in even more and I’m super thrilled. The screws are Soundsmith's own and the pack comes with four of various materials each having different weights. Not only does that enable better compliance matching but they make installing & dialing in the cart incredibly easy. Highly recommended--I use them on all three of my tables. As for the alignment, I definitely needed the full length of the headshell slots and in fact a soundsmith cart I bought wouldn’t reach the null points. The armboard is drilled off a very slight bit (measured via feikert protractor) but who knows. I’ve always done my own alignments but when I bought the Paua I also treated myself to a pro alignment and had Michael Trei come by. Well worth the expense. Thanks for the comments on the TD124! I love the table! Sounds immaculate and is in great shape with most of the mods. It’s one of the first 1000 tables they made too. I also just upgraded my stage to an andros 1.2. I’m in analog heaven! Keep us posted if you get the Paua—the deals cant be beat. The white sets off the carbon perfectly! 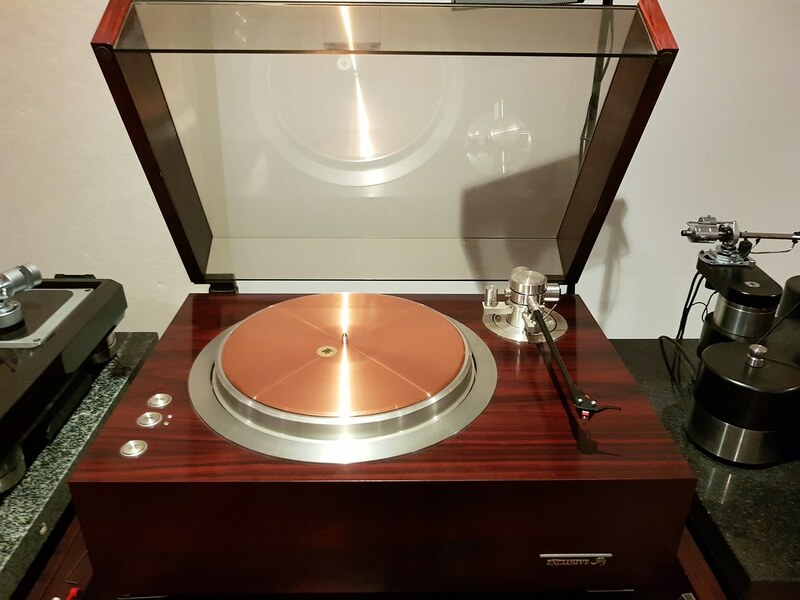 But I sincerely hope you held onto the thorens td160 and didn't sell it?! Not fancy but it works. Donniej, SandAndGlass, Bananas&blow and 8 others like this. great thread this, so many fantastic tables. How I spin my vinyl. TW Acustik AC-3 with SME 3012-R tonearm with SPU atm. Pioneer Exclusive P3 - aka 1979 vintage direct drive table - the best table Pioneer could make and only for Japan. - with Lyra Etna SL cartridge. Technics SL1000mk3 aka SP10mk3 aka 1981 with Thales Simplicity II tonearm and Lyra Atlas SL cartridge. 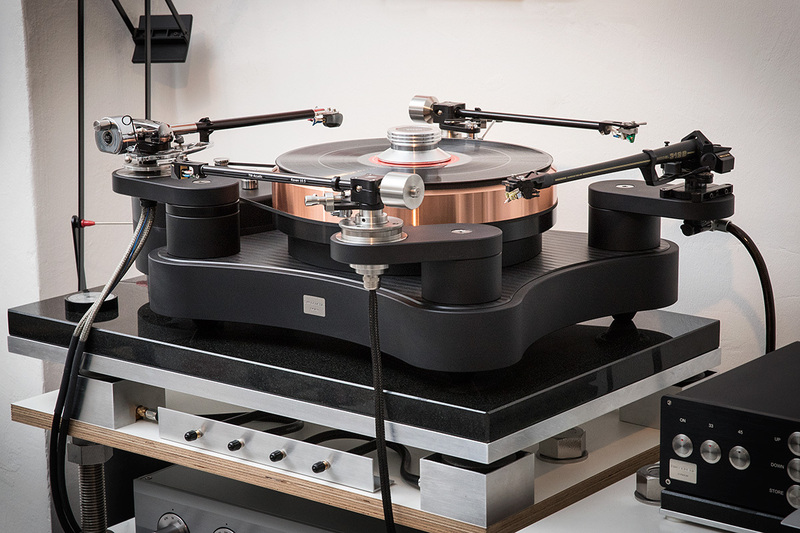 Linn Sondek LP12 with Naim ARO + Linn Troika cartridge. spartree, Twinsfan007, Bananas&blow and 5 others like this. I tend to turn the lights down low when I do some serious listening, so I don't notice it. But the white has grown on me too. I gave it to my brother who is the one who kept telling me I should dust off my records and get back into vinyl. He returned about 6 years ago. 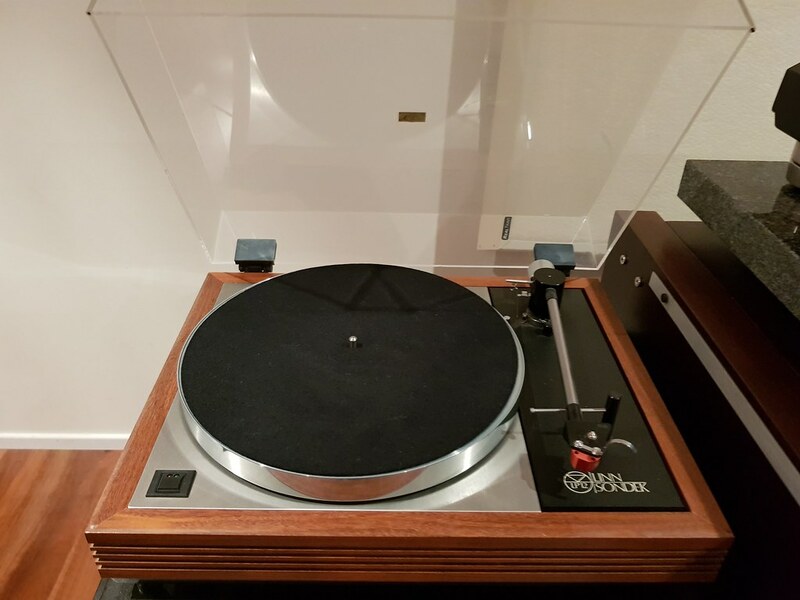 He now has my 6 Large Advents, my mid 70's 100 W Sansui receiver and now the Thorens. They are his to use as long as he wants, but not sell. 33na3rd and bever70 like this. Donniej, Guitarded, SandAndGlass and 11 others like this. Hi there. For a number of years I ran fairly heavily modified Denon 103R's, aluminum and ebony bodies that had been retipped by Peter L at Soundsmith with ruby cantilevers and line contact styli. 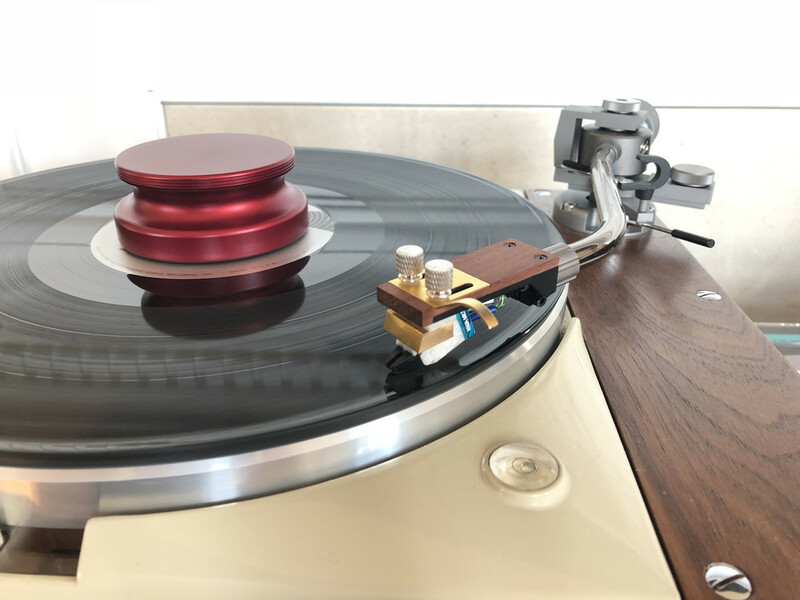 I then switched over and ran a couple of Ortofon MC 20 Supers that I had Andy Kim retip, one with a boron cantilever and microridge and the other with a sapphire cantilever and microridge. These were all pretty good cartridges IMO and I felt they were all improved by the retip work (I think in general that boron and sapphire cantilevers offer superior performance to most aluminum) and probably pretty competitive into the $1200-$1500 price range in current offerings. My phono stage is a bit different (it is a current mode stage) and probably works a bit better with low impedance designs like the Ortofon and the AC2, which has an internal impedance of 4 ohms. I bought the AC2 off Ebay-it was missing a stylus and a very, very small piece of the sapphire cantilever where the stylus was mounted. Other than that it looked like a brand new cartridge when I received it. I then had Andy Kim install a Namiki boron cantilever with a microridge stylus on it and I believe he also adjusted or rebuilt the suspension. I wanted to send it to a retipper that did suspension work as it was an older cartridge, although I read later that the suspensions very rarely develop issues on the older Accuphase (AC 1-2-3) cartridges. After messing around and retipping cartridges for about 8 years I've also come to the conclusion that my personal preference is for boron cantilevers. I think they have a more natural presentation, possibly a bit more mid hall than front row, and I like that. Also extremely quiet in the groove. The AC-2 is really in another league compared to the modified Denons or Ortofons, which were no slouches. It might be just slightly on the warm side of neutral, but not by much and it's very detailed without being in your face and is incredibly good in terms of separation of instruments/voices and imaging, both front to back and side to side. I think the latter is a result of the 30 dB channel separation spec on the AC2 which is better than the Ortofon/Denon at around 25 dB. I am a value shopper in terms of cartridges and prefer to retip/rebuild higher quality cartridges to maximize performance at reasonable prices. So I have about $625 U.S. into the Accuphase and ultimately think I'd have to spend 3-4 X that to equal or exceed its performance, and possibly more with the way cartridge prices have gone in the past couple of years. Seems like $3-$4K is a middle of the road low output MC now. It's nuts. The only new cartridges that have any appeal to me on a price to performance basis now are the AT Art 7 and Art 9. But I really like the Accuphase and think it might be a sideways move going to one of those. 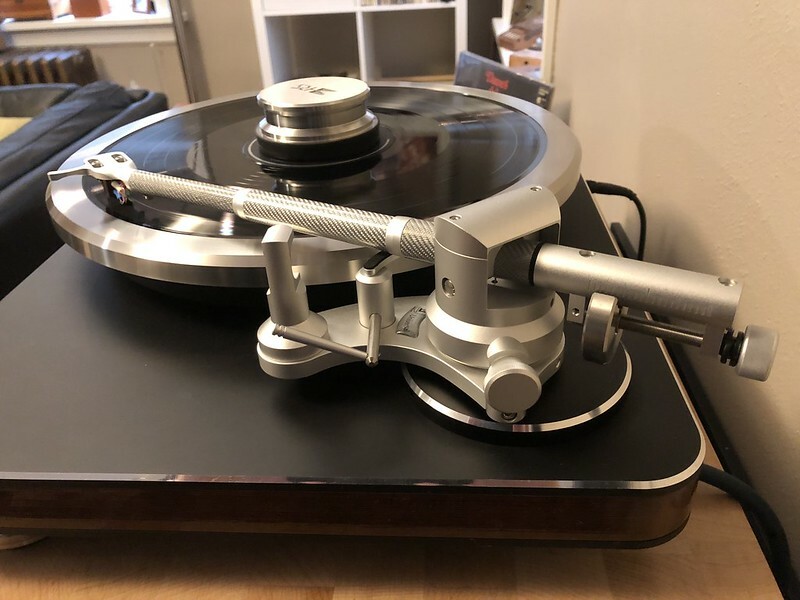 I don't feel compelled to upgrade the Accuphase and I have another two Namiki cantilever/stylus assemblies so I should be able to retip it well into the future. I see you're in Ontario as well. If you're ever around London, you're welcome to drop in for a listen. audiolab1 and Joe Spivey like this. Looks really nice. Is it a Braun?